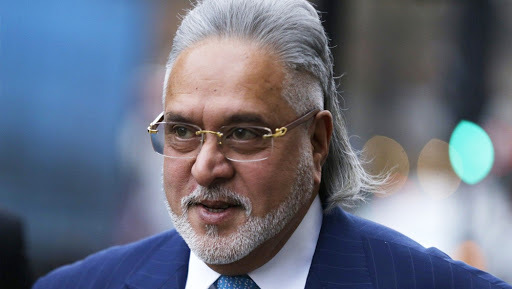 London, April 12: Even as Vijay Mallya renewed an appeal against his extradition to India, the liquor tycoon suffered another legal setback on Friday in a separate USD 40-million claims case brought by British liquor giant Diageo plc in the UK High Court. Justice Clare Moulder ruled against the 63-year-old businessman's application to seek a delay in the full hearing in the case scheduled for May 23 and additionally ordered him to pay legal costs of 34,000 pounds. She was extremely critical of the "unexplained" delays by Vijay Mallya in clearing the unpaid invoices of his previous solicitors Greenwoods, which resulted in his new solicitors Joseph Hage Aaronson (JHA) finding themselves in "difficulty" and wanting to seek an unfair adjournment. "The delay is at best unexplained and arguably of the defendant's [Mallya] own making. In my view, the claimants [Diageo] are entitled to have their claim progressed expeditiously," Justice Moulder said, concluding that Vijay Mallya was the "author of its own misfortune". Vijay Mallya’s Appeal Against Extradition Order Rejected by UK Court. "The claimants say that if the May hearing is adjourned they will suffer prejudice... there would be a race in relation to Mallya's assets which are subject to a number of competing claims; Mallya may be extradited and this will affect the ability to enforce the judgment against him," the judge noted, in reference to the extradition order and worldwide freezing order already in place against Vijay Mallya. While the judge agreed to a short extension until April 23 for Vijay Mallya's new lawyers to submit their evidence to the court, having missed an April 5 deadline, the judge ordered that meanwhile the businessman must pay additional legal costs of 34,000 pounds for Diageo's lawyers within 28 days. Diageo, which had acquired Vijay Mallya's United Spirits nearly six years ago, is claiming USD 40 million paid to him as part of an alleged breach of agreement. The UK-based drinks giant is also claiming USD 140 million from Vijay Mallya, his son Sidhartha and two companies linked to them for alleged questionable payments.